A 49-year-old Houlton man was arrested Tuesday evening after allegedly firing a gun during a disturbance at a Court Street residence. 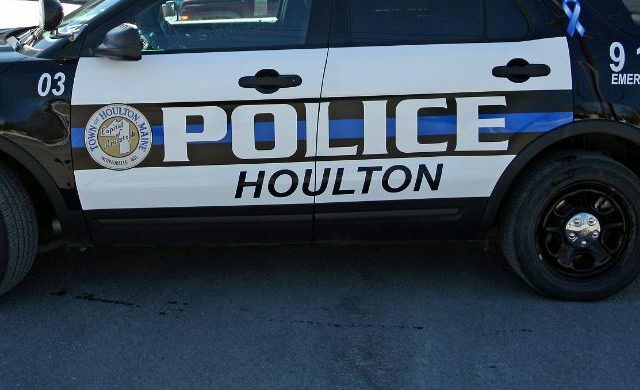 HOULTON, Maine — A 49-year-old Houlton man was arrested Tuesday evening after allegedly firing a gun during a disturbance at a Court Street residence. According to Houlton Police Chief Tim DeLuca, police were called to 83 Court St. at 6:03 p.m. for a report of a disturbance possibly involving the discharge of a firearm. Police investigated and charged Tony A. Smith with criminal threatening with a dangerous weapon, reckless conduct; and discharge of a firearm near a dwelling. Houlton patrolman Travis Smith was first to arrive on the scene and made contact with a complainant, who was not publicly identified. Smith determined that the suspect and complainant had been involved in an ongoing dispute over property and other issues, according to the police chief..
“Later in the afternoon, another dispute became verbally threatening resulting in the discharge of a firearm,” DeLuca said. The firearm — a 9mm handgun — was recovered and taken as evidence, he said. No other weapons were taken from the scene. Police searched the neighborhood to make sure no individuals were harmed as a result of the weapon being discharged. The chief said it was believed the gun was fired just once. “This incident could have accelerated to a larger more serious situation if it were not for the quick, effective and professional response from the officers of the Houlton Police Department and the assistance from the Maine State Police, Aroostook County Sheriff, Maine Wardens Service and U.S. Border Patrol Agents,” Chief DeLuca said. Smith was taken to the Aroostook County Jail and later released on $500 bail.